A few months back, when DreamIt held their usual first-look event to introduce their latest batch of startups, we must say that the refreshments were above average and much better than what you usually find at a meet-and-greet. This time around, it was handled by Fiestah. 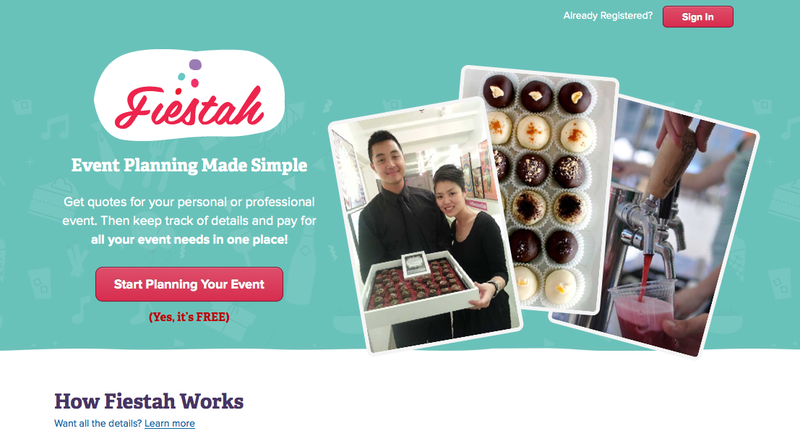 Fiestah is an online marketplace for planning events, bringing together event organizer and vendors of every stripe, from the food to the flowers, and everything in between. They also provide event planning tools, and help organizers – whether they’re professionals or not – to stay on budget, and get all of the vendors paid, all from one secure platform. Fiestah came out of a Startup Weekend in 2012, and the team has been together and bootstrapping the company ever since. They’ve served over 25,000 guests and 30,000 tasty meals since those early days, but when it was time to take it to the next level, they decided to go through an accelerator program. No sooner had they started the DreamIt program that they received their notification that they’d also been accepted to be part of Startup Chile. Must have been an idea whose time had come. That program starts not long after DreamIt wraps up. So, some of the team will be going to Santiago, and the rest will stay here. Co-founder and COO Nurul Yahya will be based in New York, but will be making trips to Chile. It’ll be different. DreamIt introductions gave them industry mentors and traction with new clients. They’ve been more focused on digital marketing. They’ve also been piloting a new program, which is still under wraps and will be announced on Demo Day. Which will be right before they leave for Startup Chile. It’s a six-month program, and will open a whole new market for them. “In the South American market, everyone plans events,” said Yahya. And no founder worth their salt turns down an opportunity to expand into new markets.